2015 saw yet another fabulous Christmas production from F2 & Years 1, 2, 3 & 4. 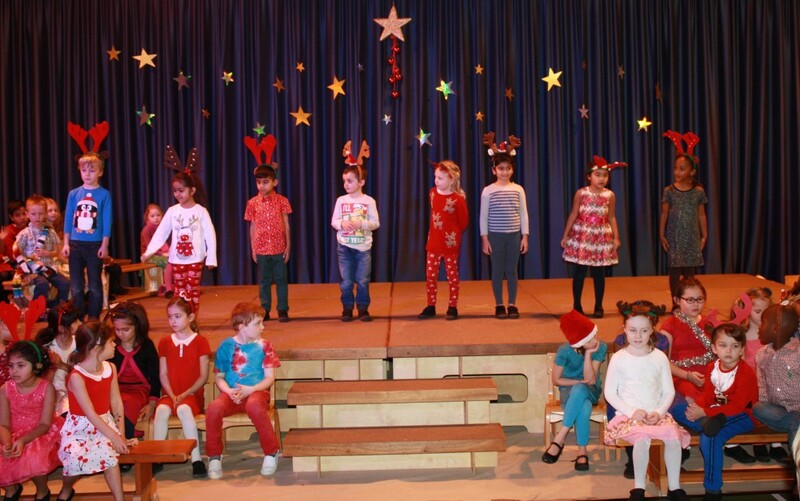 With a dress rehearsal in front of an audience of Nursery children, an afternoon performance on 8th and an evening performance on 9th, the children did themselves proud with beautiful singing, excellent poetry reciting, excellent percussion playing, fabulous dancing and hilarious joke telling. Well done to all the children who took part – and thanks to the staff for all their hard work in putting this production together.